Matt: I am here in Melbourne, and I have just had an interesting morning with Jim from Starbuck Excavations. Jim has had his company in the industry for over ten years. As we all know, that is a pretty mean feat in itself. He started when he was 19 years old, and he took the biggest hit of his life. Jim: Yeah, it was s#!t house. I couldn’t find any work and did a lot of labouring. I would put the machine on site and only charge the people for the hours that the excavator was working. 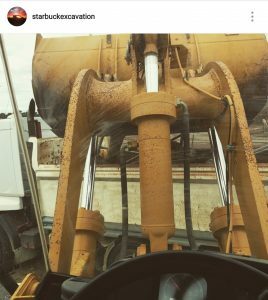 If I worked the excavator for two hours, I would only charge two hours for the machine time and six hours of labouring at $20 an hour. However, a lot of guys took advantage of that, and they’d have me labour for 30 hours a week and use my digger for one hour. Matt: As Jim has grown, he is dealing with the productivity of the guys that work for him. Jim: I make the most money off one job, in one day if I operate that excavator; the trucks work better, the site works better, and the machine is more productive. The machine less damaged because I don’t smash the windows, I don’t hit the rear end on things. I don’t break the trucks when I’m loading them, I might scratch them a little, but not fully break them. However, that one job makes the best money. Matt: Then as we grow our business the challenge is, do you focus on one job to make it highly effective and profitable, and let the other jobs run their course? Or do you end up going out and focussing on all the different jobs and get an incremental improvement across the board? I think Jim answers this question really well. Jim: While I’m completely focused on one job, I have 19 other jobs that are not running as productively. So, what you do, you get out of the digger, you take those 20 job sites, and you try and make them all 10% more productive. And if you make every job 10% more productive, you have now made triple, five times the amount of money you would have made by having only one job running like clockwork. Matt: As he’s been working on growing the business, particularly when he’s not the main subcontractor to the principal contractor (builder). He’s had to work on the back of handshakes and promises. No, no one will sign on the dotted line to say that there is five years’ worth of work. Unless you’re the main contractor signing with the principal contractor you don’t get to have those ducks in a row. You can not get to be that main contractor without being the secondary contractor. Which means, somehow, some way, you have to build your way up that ladder. How you do that, is by taking chances. Taking risks and trusting people when they tell you that they’ll look after you or whatever, but it doesn’t always work. Some people watching your video might make it a hurt. I won’t say who you are. Matt: We’ve all heard the saying that cash flow is king. Jim has good advice for any of the young players out there looking to start doing their own thing. I would really listen to what Jim’s got to say, it’s really valuable advice. Jim: It’s not about having cash in the bank. It’s about having that constant money cycling through your company. That makes things happen. You know it’s not just one big injection of cash at the end of the month. The cash is always constantly moving. If you can manage your cash flow, so you have that money there for when you need to take those hits, which they come around, then you will be alright. Matt: Jim is also a big believer in giving discounts to get payments early. Jim: You need to keep the cash rolling. I give discounts the people who pay early. Especially on the big jobs, you give them a five percent discount to change it from 45 days from the end of the month to 14 days from invoice. Matt: Sometimes it’s worth giving the discounts? Jim: Sometimes it’s worth it a lot. 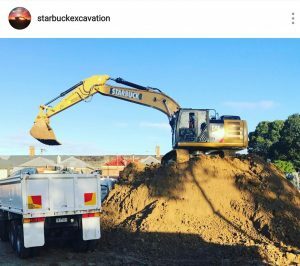 Matt: Because Starbuck Excavations Instagram following is quite large, 13000 people. Jim has been offered a few different promotions from people. His credibility is worth more to him than what is being offered. With an offer for an attachment, he wasn’t willing to sacrifice his credibility. At the end of the day like Jim said if he leads his friends astray it’s no good for him, it leaves people starting to question him. Jim: I had a company approached me to give me a machine part. It was about $100 000 part. And they said they’d give it to me if I made a YouTube channel and post once a week about it on my Instagram. And give me $100 000 part. But they expected me to say that it was good. And I said no. Jim: No idea, I never got the part. I’m not going to sit there and spruik a machine when it shouldn’t be spruiked. If it’s good, let the numbers speak for themselves. What if I say the part is good and then 10 people that I know go out and buy it and then they all think it’s s#!t. I look like an idiot. 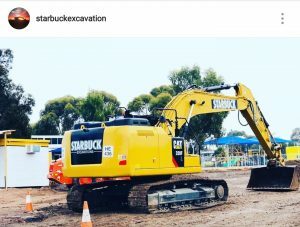 How deep has Starbuck Excavations dug? Matt: He’s dug a pretty deep hole in his career so far. Jim: 25m down which is about six stories with car stackers. That is a monstrous hole, that is pretty deep. Matt: Question, how do you get the dirt out of a hole that deep? Jim: Starts off with trucks, then no trucks, then a digger, a bigger digger up the top, then an even bigger digger with a longer arm, then make no money. Go home and cry. Matt: That was a lesson learned obviously? Jim: Yeah. I didn’t make any money, and I did go home and cry, that wasn’t a joke. Matt: When he was busy he struggled to keep time for himself, keeping everything in check with his work-life balance. I think we all struggle with that from time to time. 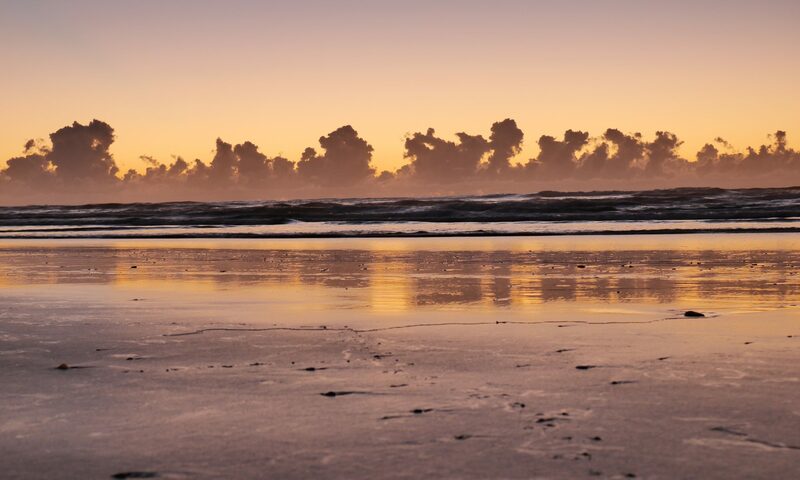 As we grow our businesses, particularly as we go from being a one-man band to having four, six, ten employees, it really starts to become a challenge. Matt: How does she find your work-life balance and the like? Jim: Well, here’s a storey. I have an ex-wife that has a lot to do with work-life balance which I never had any. I have had to try and change that at some point as I was very much in the company at that point. I was still digging holes, driving trucks and doing everything else. Now I have the time to come out of coffee with Travelling Builders [laughing]. Matt: It’s a little bit sad that a lot of guys in the construction industry have had failed marriages or relationships that haven’t worked out. It’s not a good thing. It’s something the industry that I think has a lot to answer too. It was a good to have a chat with Jim and got some insights into what it is that he is up too.